Lord Narasimha's Appearance Day - May 9, 2017 ~ The Toronto Hare Krishna Temple! 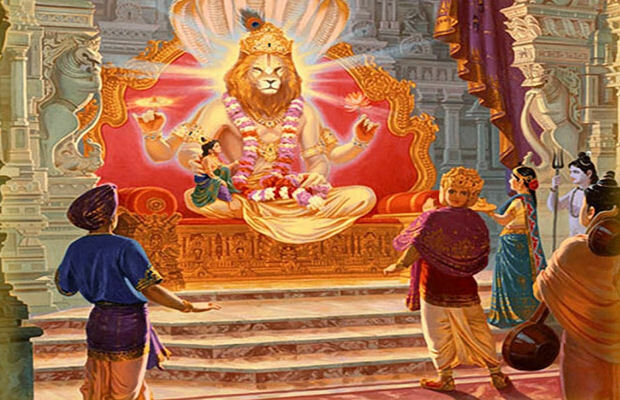 On Tuesday May 9th, the Toronto Hare Krishna Temple will be celebrating Narasimha Caturdasi: the Appearance Day of Lord Narasimhadeva. 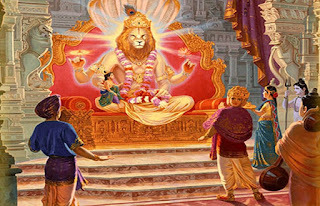 Lord Narasimhadeva is one of Lord Krishna's incarnations who appeared in the form of half-man and half-lion in order to protect his young devotee, Prahlada Maharaj, who was been persecuted by his evil father, Hiranyakashipu. The festival will begin at 6:00pm and will include a discourse on the appearance and qualities of Lord Narasimhadeva, an abhiseka (bathing ceremony), a wonderful drama and enlivening kirtan!